People and vehicles are seen outside a Con Ed facility following a transformer explosion at the electric power station in New York City, U.S.
“There was a boom and a bang and a flash of light,” said Jim Long, a spokesman for Fire Department New York. “It’s all under control but we’re still getting calls from residents wondering what happened,” he said early on Friday. 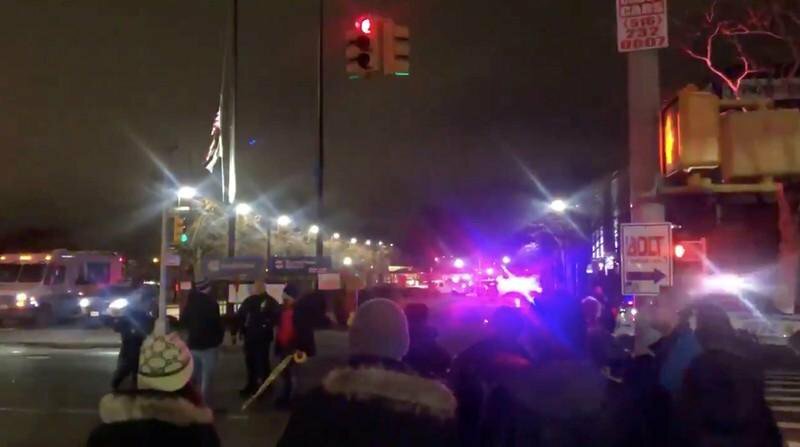 The blue flashes that briefly lit up the night sky in the Astoria area of Queens, New York, shortly after 9 p.m. (0200 GMT) were caused by a power surge and electrical “arching” and sparked a transformer explosion and a small fire, said Con Edison spokesman Bob McGee. “Why is the sky lit up bright blue in Queens New York City right now? Is it fireworks?” Louis Santoro, a New York City resident, wrote on Twitter. Con Edison’s McGee reassured residents after internet speculation that aliens or the villain Thanos from the recent Avengers’ movie “Infinity War” had invaded. “No, it wasn’t space aliens,” he said. “All power has been restored to normal. “But the videos online of the blue lights in the sky are still flying all over the internet,” McGee said.